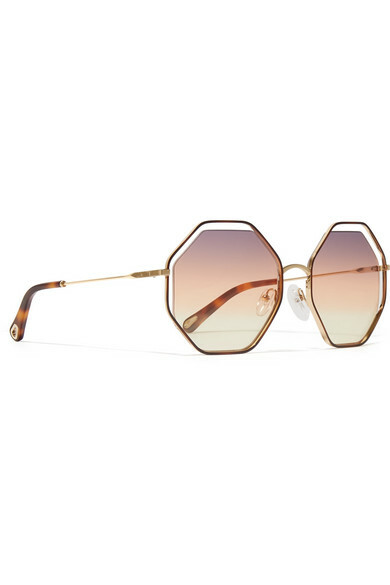 Chloé's 'Poppy' sunglasses have '70s-inspired octagonal frames and 'floating' degradé lenses. 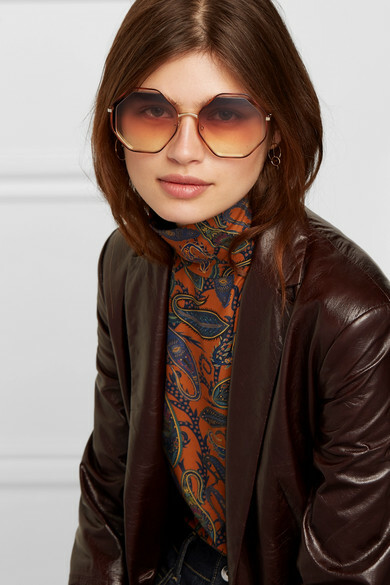 The gold-tone arms are embossed with the house moniker and tipped with tortoiseshell acetate. 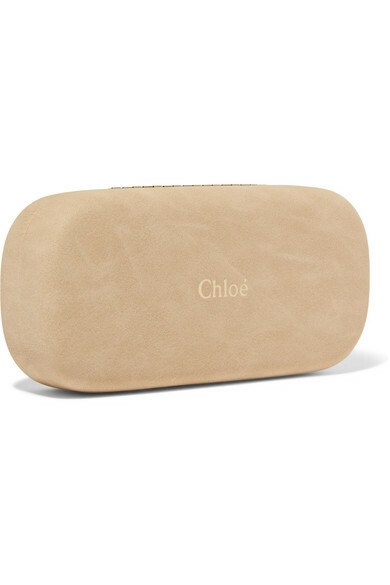 Keep them protected in the designer-stamped hard case when they're not in use. Shown here with: Chloé Top, Theory Coat, Sophie Buhai Cuff, Catbird Necklace.